Months ago, the Night Owl covered the Boerne .5K, a race designed for people who really didn’t want to spend the time practicing or getting into shape, but wanted to be able to say they’d participated in a distance run. Philadelphia, in 2015, appealed to a different segment of society. They wanted a race for people who merely wanted to participate in the after-party. With that very Philadelphian goal in mind, they created the Philadelphia Instant Gratification race, a 0.0K run. Actually, at a length of 0.0, the units become meaningless. From 0.0 angstroms to 0.0 light-years, the distance is the same. So perhaps the organizers merely paid attention to the TNB editorial about the importance of math, and wanted to appeal to those who wished to say they’d participated in a light-year distance run…. No, they just wanted the party. 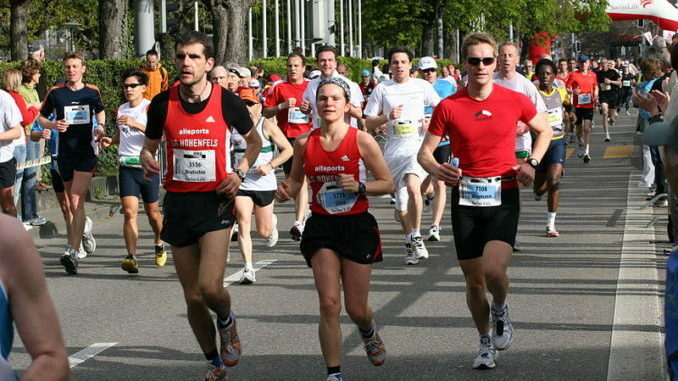 The Philadelphia run was arranged with the Start and the Finish line in immediate succession, so that participants of any age could merely step forward (or tip over) and finish the race. It cost $35 to enter and every participant received a t-shirt and access to the post-race concert. Food trucks and alcohol were, unsurprisingly, available for both participants and the throngs of viewers. It was held in early February, which conveniently provided an instant excuse against the naysayers: it’s too cold in Philly in February to run around outside for very long! The event lasted only two years, closing down after 2016. Perhaps the pervasive cold prevented people from attending the outdoor post-race concert. Perhaps the organizers were just too lazy to arrange a third race. Question of the night: What’s your favorite cold-weather outdoor activity?